When the weather’s nice in Chicago, it’s time to get outdoors. There’s no better way to explore Chicago’s greatest buildings and attractions than by taking a tour, which can be had on segways, boats, buses, and by foot. With so many different types of tours to choose from, all offering novel experiences, it might be hard to pick just one. A solution? Try a few. If you can only squeeze in one during your stay, it just means you’ll need to visit Chicago again in the future! 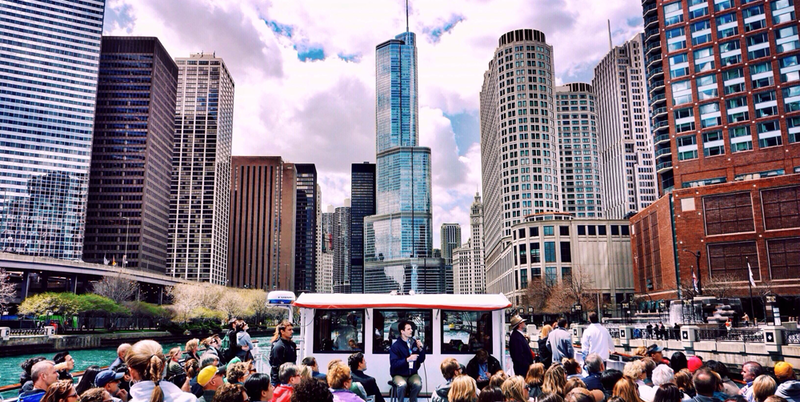 Here are the best tours to take during springtime in Chicago. Chicago is known for its delectable eats—from deep-dish pizza and dogs to donuts and the awesome craft cocktail scene, there’s so much to explore—and eat and drink. There are a few walking food tours that take you through different neighborhoods, and getting tickets to these tours can help you discover the best spots in certain area, much like a local. Plus, you’re getting in some activity to combat those calories! You can also explore the Lakefront path, Chicago’s dining scene, and it’s artistic culture through various tours with Bobby’s Bike Hike. These tours can take you along an architectural tour during the day or a thrilling nighttime ride with electric features (for safety and fun). There are so many to choose from, so be sure to browse the site and book during your next stay. Segways might seem funny, but they’re becoming more popular. They are an efficient way to get around, and they come in handy when you’re looking to experience Chicago’s top sites in only a few hours. You can ride along the Lakefront, to look at the beauty amongst the buildings and boats and watch runners fly by, or you can try a museum or architecture tour to dive deeper into Chicago’s rich arts and science culture. Whether you sign up for a daytime cruise, where you can really see and appreciate Chicago’s fine architecture in broad daylight, or you prefer an evening cruise in the warmth, getting out on a boat along the river is a great way to see the city and enjoy the nice weather. There are tons of Chicago boating tours to choose from, so find a location, itinerary, and day that works for your schedule. They run often, so it shouldn’t be hard to find a tour when you’re visiting!